For those of you who have a house with two floors, stairs will probably be one important element that you must take. The value of beauty and comfort are being your consideration in deciding what you want your stairs look like. 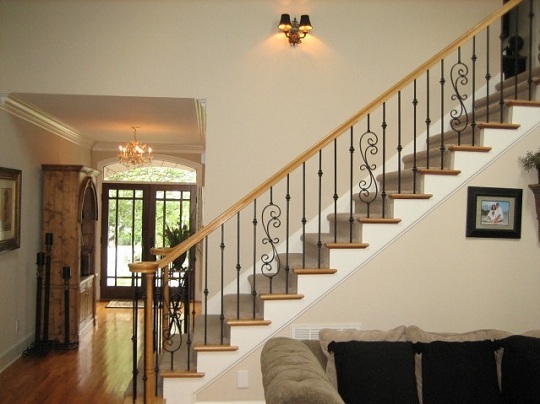 Many people choose wrought iron balusters as a great way to give more aesthetic value to the stairs. Wrought iron balusters known for its many advantages, as this balusters’ type is quite popular for last 10 years. 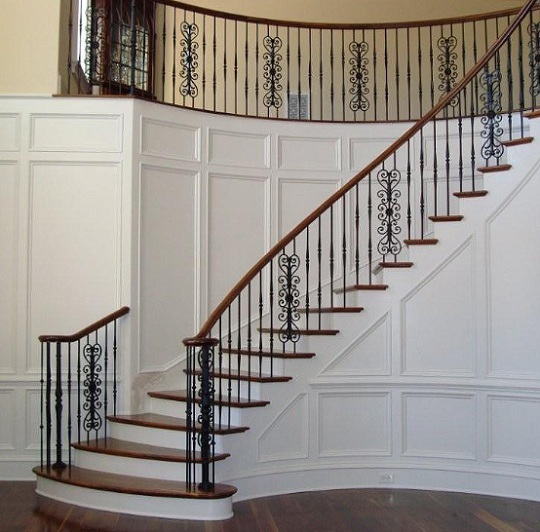 Why Choose Wrought Iron Balusters? 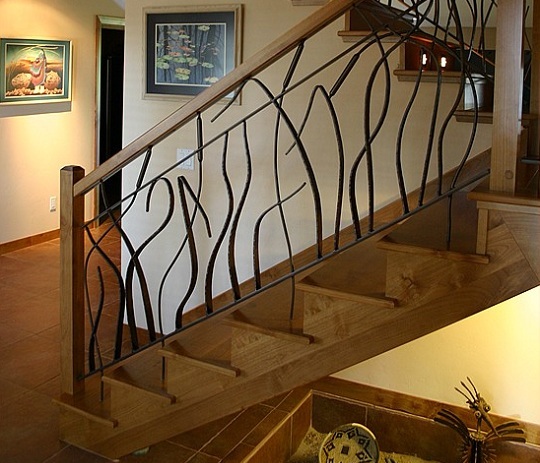 Products of wrought iron give you some options of the types that makes you wonder and awe. Their beauty comes with many advantages that make them always occupy a high position in the realm of beautiful accessories of stairs’ parts. Then, why should choose wrought iron balusters, instead wooden ones? Has been shown, iron can last longer with greater force than wood. The use of wood will require us to maintain it carefully and diligently to avoid the pests that have sprung up. It is also about flexibility you can get. Do you know that although wood helps you give aesthetic value of antique, wood is very susceptible to the weather? This will make the wood is only suitable for being used in the home, to avoid direct exposure to rain, wind, or excessive sunlight. Wrought iron balusters give more values because they are able to survive much longer to the bad weather conditions, so that the iron balusters are resistance to be placed outside the room. You should not feel burdened with the maintenance because the iron is much more durable, while its maintenance is quite easy. You just have to make sure you get your wrought iron baluster paint fresh and free of rust. In addition to durability and more strength and longer life, iron balusters also help you build a ladder that is more robust. This means that you hit down the accident rate of the stairs, right? If you think that the iron will only show something monotonous and rigid, you are wrong! You can choose designs and styles that suit your taste. Wrought iron is known to be formed easily, without forgetting their strength as a value. Moreover, the production of wrought iron also comes with a protective layer of veneer that helps them resist the effects of bad weather that probably you worried about. Wrought iron balusters are generally sold on a large scale, not only sold per item. You will find a seller who sells iron balusters in a set containing 50 or 200 rods, or even 1 ton of iron balusters. Prices are subject to vary, depending on the complexity of the design balusters which are offered and the quantity purchased. For a rod balusters—or per item, commonly price that used is $1-200. Once you decide to choose wrought iron balusters, the problem that arises is how to put themon your stairs to achieve the best results. 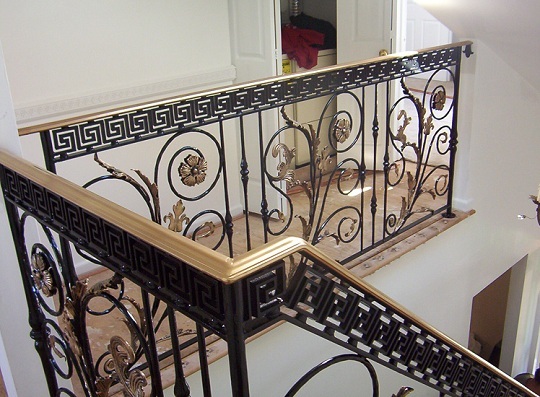 You have to prepare the stairs which you want to use the iron balusters. Make sure the stairs are no longer have the old balusters because you will replace them with new ones. You can remove the 4 or 5 old balusters to keep the balusters railing in place. After that, you can install iron balusters that you want by loosen the screw first, then mounted them with two screws after you make sure that the wrought iron baluster have been at its axis. The use of wrought iron balusters is rising today. You maybe are interested to try, to give a modern impression on your stairs. 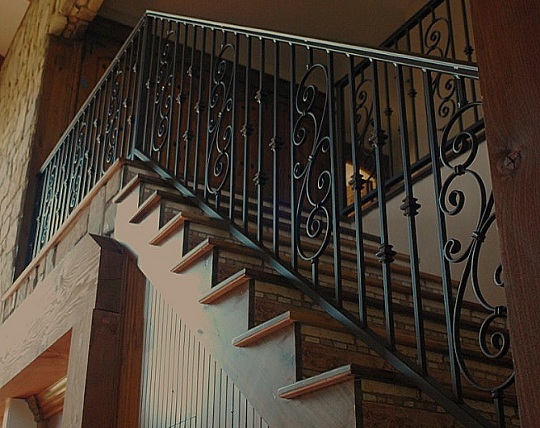 Iron balusters lasts longer in your home, for interior or exterior. Make sure you give proper maintenance, eventhough they are fairly easy to use.